your patients about their disposition options. your patients to securely and conveniently pay storage fees online. your patients access to our comprehensive educational website. your patients in making the best decision. Embryo Options partners with IVF centers to educate and assist fertility patients with making disposition decisions for their cryopreserved embryos, eggs, and sperm. The IVF center and Embryo Options partnership enables patients cryopreserving biological specimens to conveniently pay storage fees online, as well as gain access to a comprehensive educational website to explore various disposition options for their embryos, eggs or sperm. 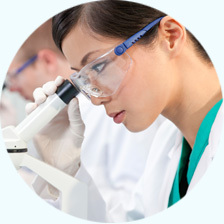 Patients cryopreserving embryos, eggs, or sperm will be able to explore their disposition options.